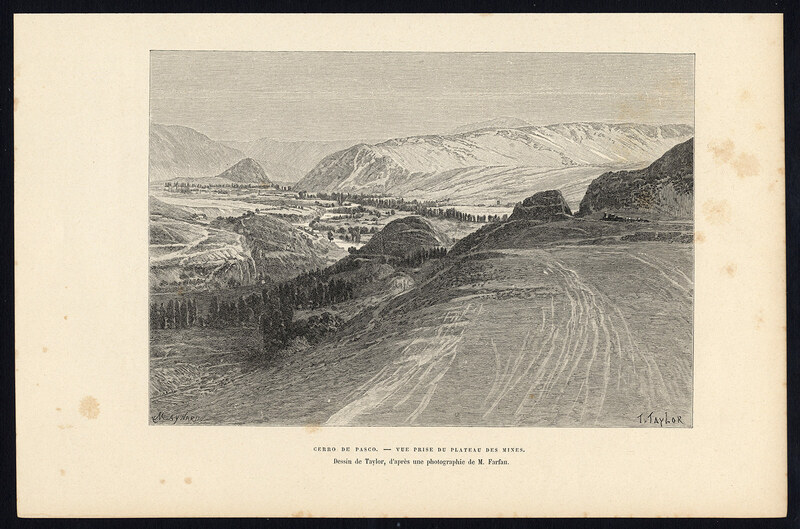 Subject: Plate : 'Cerro de Pasco - Vue prise du plateau des mines.' (Cerro de Pasco - view of the silver mine, Peru). Artists and Engravers: Jacques Elisee Reclus was a renowned French geographer, writer and anarchist. He produced his 19-volume masterwork La Nouvelle Geographie universelle, la terre et les hommes ('Universal Geography'), over a period of nearly 20 years (1875 ï¿½ 1894). This plate by C. Maynard after T. Taylor.